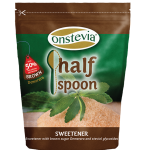 By replacing a spoonful of regular sugar with half spoon of this product, you’ll get the same taste and texture like sugar, but only half of the calories (50% calories per portion). The product is suitable for athletes and consumers who are dieting, but not for diabetics A ‘& B’ type. 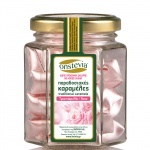 Available in Paper bag of 1Kg. 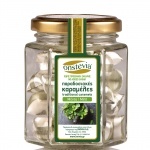 Available in Doy pack of 500gr. 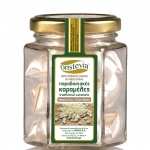 With amazing taste in crystalline form. 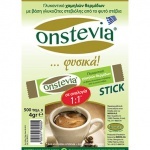 ONSTEVIA NATURAL SWEETENER IN STICKS – 25 STICKS OF 4GR. 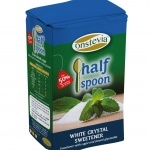 With the same ratio 1:1, it replaces sugar in your drink. 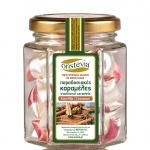 Available in doy pack of 25 sticks of 4gr. 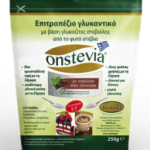 By the same analogy replaces sugar in your drink. 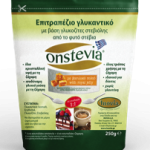 ONSTEVIA SWEETENER WITH ROYAL JELLY EXTRACT 250gr. 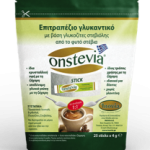 ONSTEVIA SWEETENER WITH VANILLA FLAVOUR 250gr. 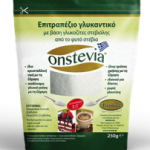 ONSTEVIA SWEETENER WITH CEYLON CINNAMON EXTRACT 250gr. ONSTEVIA SWEETENER WITH CHOCOLATE EXTRACT 250gr. 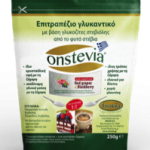 ONSTEVIA SWEETENER WITH BLUEBERRY & RASBERRY EXTRACTS 250gr. ONSTEVIA SWEETENER WITH RED GRAPES & BLACKBERRY EXTRACTS 250gr. ONSTEVIA SWEETENER WITH POMEGRANATE & CRANBERRY EXTRACTS 250gr.